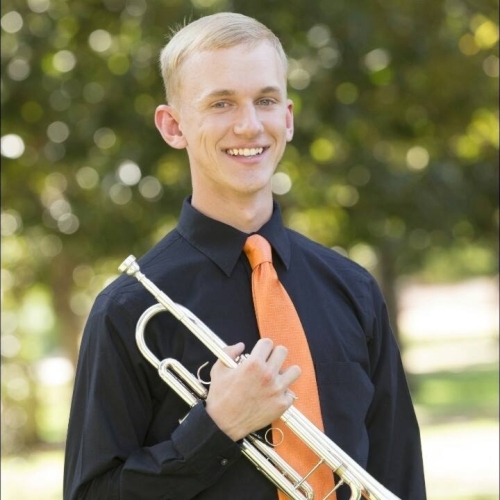 Noah Mennenga, from Cottage Grove, WI, just finished his Bachelor's in Trumpet Performance from Oklahoma State University. He has spent time in the Wind Ensemble, Jazz Bands, Orchestra, Trumpet Ensemble, Brass Quintet, and Marching Band while in school. He has had success on the national and international level, most notably as the winner of the 2018 International Trumpet Guild Solo Competition and as a winner of the 2018 National Trumpet Competition. He has also performed the Arutiunian Trumpet Concerto as a winner of the OSU Concerto Competition. His teachers have included Dr. Ryan Gardner, John Aley, and Jeffrey Wohlbach. Noah especially enjoys performing solo and chamber music, but is thrilled to be playing with a fantastic orchestra and learning from all of the faculty members while at Round Top.